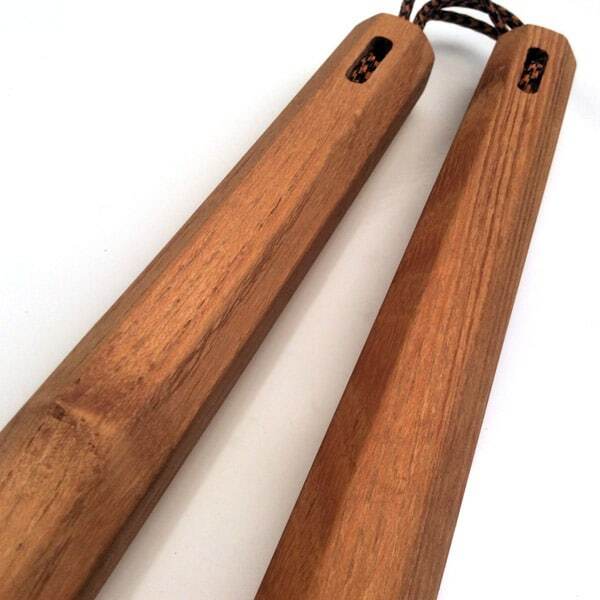 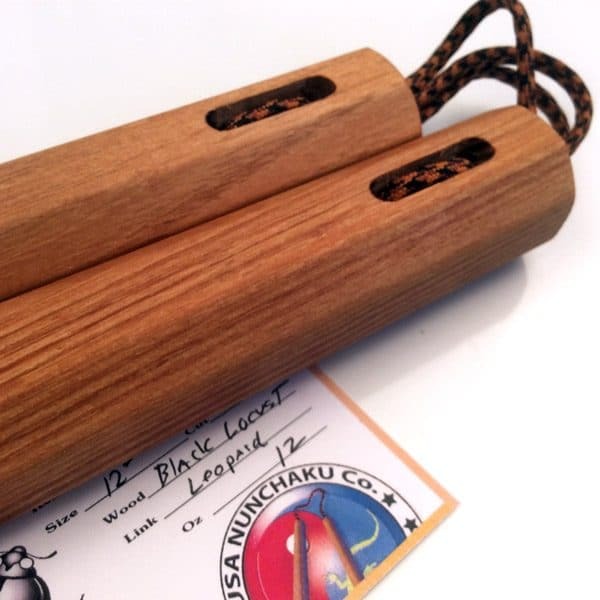 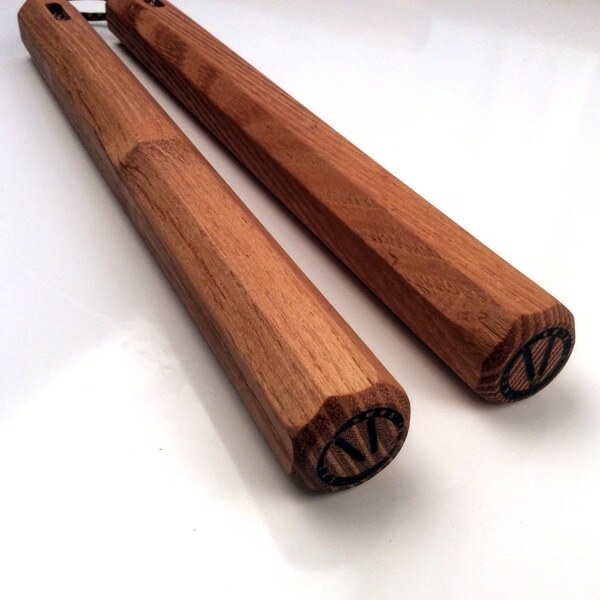 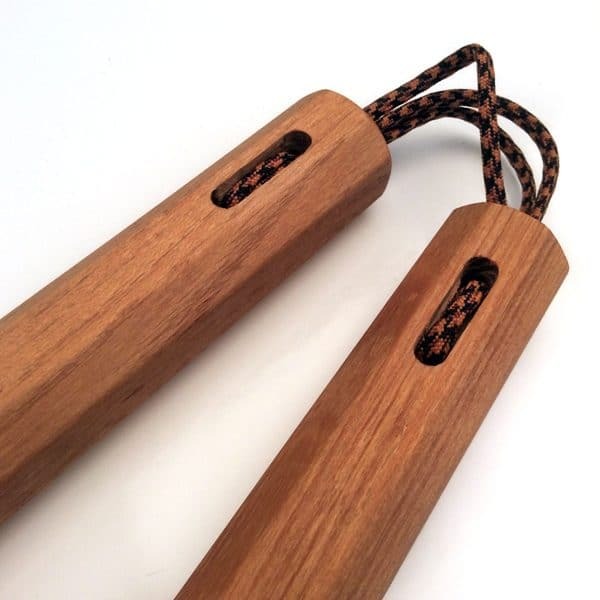 These 12 inch Black Locust Nunchaku have been in the shop a few times over the years. 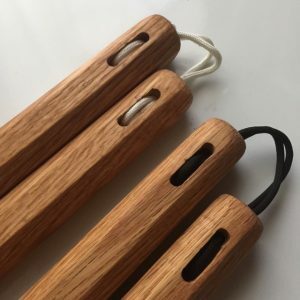 It is not an easy wood to get a hold of but it is a very strong and durable hardwood. 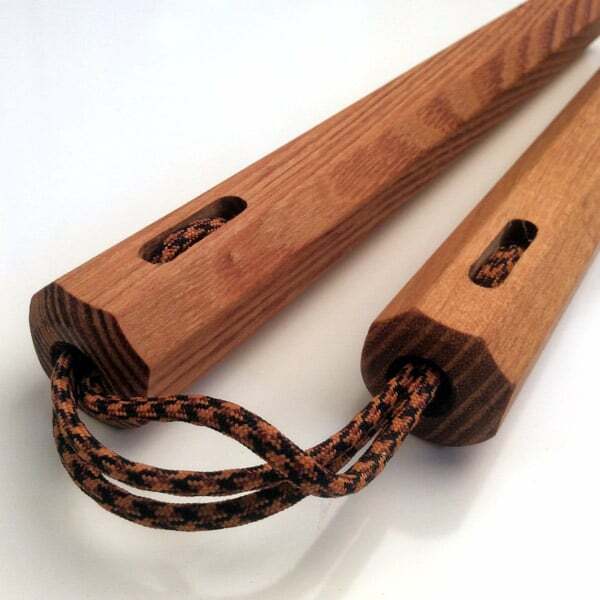 It is also very hard to work with and you have to go through much of it come away with usable wood. 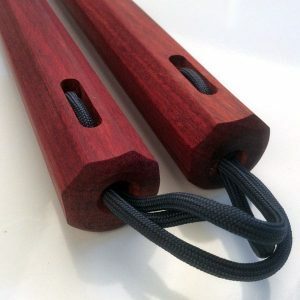 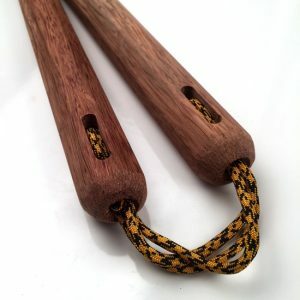 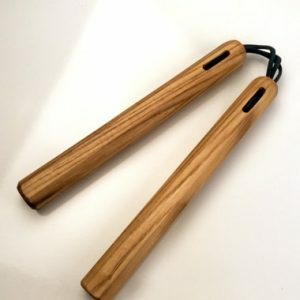 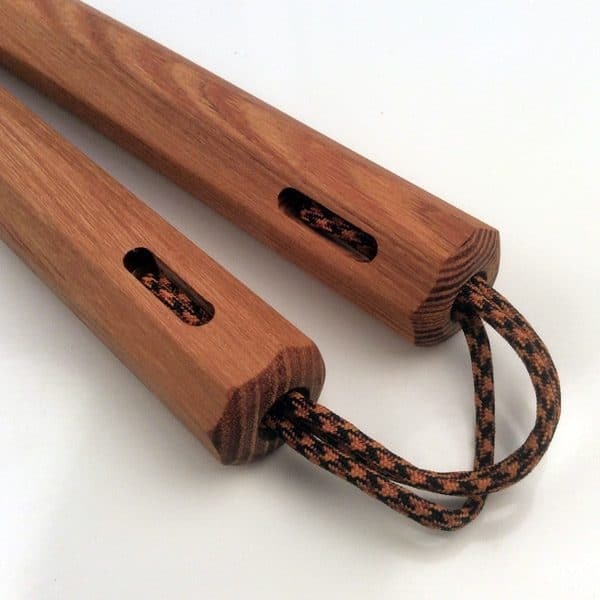 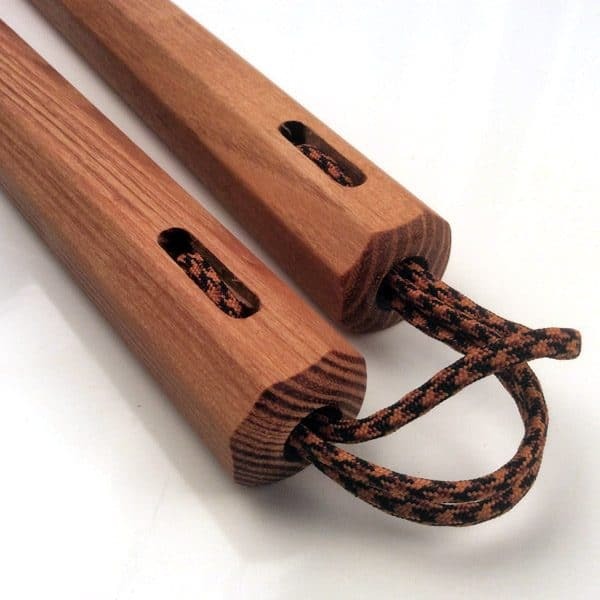 These nunchaku are extremely durable, cut resistant, and remarkably stiff, which allow martial artists to master techniques, footwork, and the basic stances. 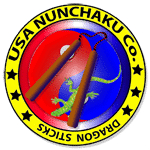 USA Nunchaku’s 12 inch Black Locust Nunchaku are made from The Black Locust Tree (Robinia_pseudoacacia) , these nunchaku are all are handmade, shaped, oiled, sanded and strung. Like all of our nunchaku each of one of kind made one at a time. 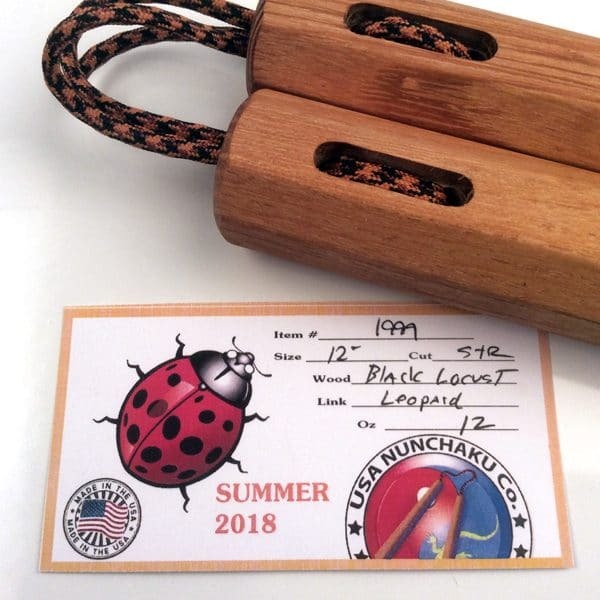 All are 100% made, sold and shipped in the United States.